Let’s face it, nobody likes driving around in a garbage can on wheels. And no matter what you think, it is always important to keep your car as clean as possible at all times. But going to get your car detailed is so hard and expensive, and cleaning out your car takes up so much time and energy. So what must you do in this scenario? Luckily, we’ve got the answers for you, and we’ve got heaps of them. Well, as the saying goes, work smarter not harder. Clean freaks and messy-heads unite! 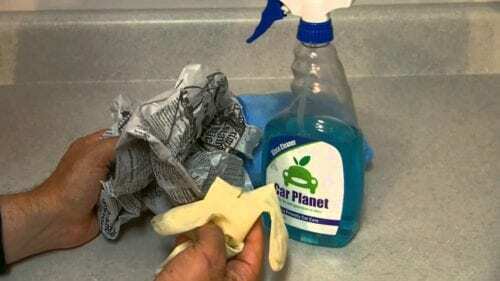 We have uncovered the best hacks around for keeping your car clean all the time, or, if you are a mess already, easy ways to clean up without it taking hours of your day or killing your back. There are plenty of people around the world that have used the techniques mentioned here, enjoyed what they did to enhance their driving experience, and have probably introduced this to their homes as well. 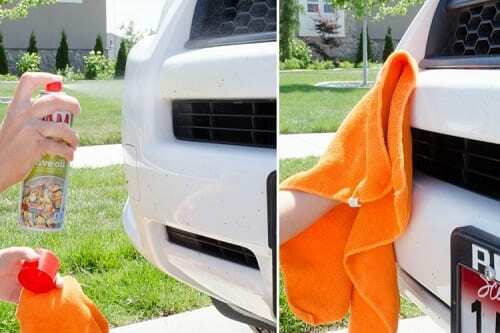 So check out these useful car cleaning hacks that’ll make cleaning up a breeze. Air vents need to be kept clean. You never know when someone with a dust allergy will come into your car and have a dust sneezing attack. Additionally, it simply is not healthy to be breathing in all of that dust. So go down to your local hardware store and get a cheap, small foam brush. 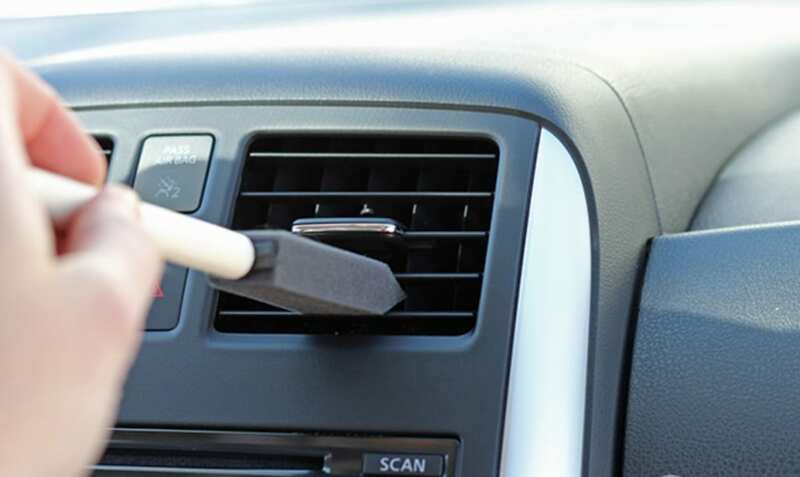 Now you can clean out those vents and keep your car smelling fresh as well. 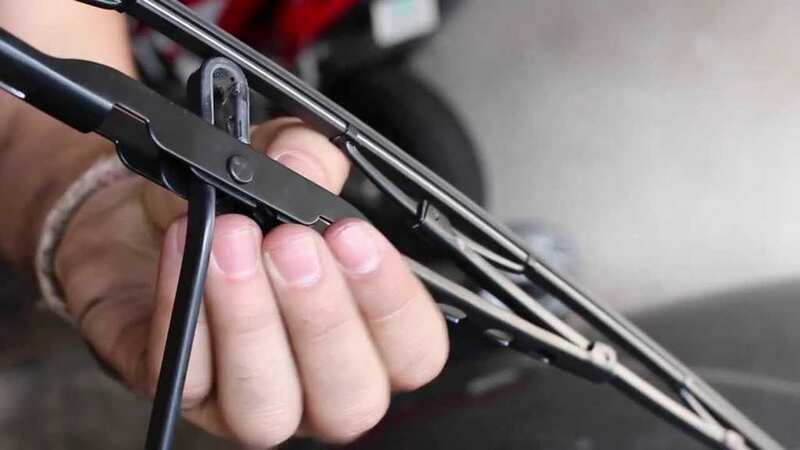 If you want to detail your car you don’t necessarily need all of those fancy tools and and kits. All you truly need is a toothbrush and a bit of moxie mixed with elbow grease. The bristles in the toothbrush will dig down deep into crevices and get that dirt out. That is exactly what happens whenever you brush your teeth, so you know that this brush will be able to do the job. If your headlights are so cloudy that it looks like you’re trying to flash beams in a heavy fog on a super clear night, you may need to get over to a body shop and drop nearly $1,000 on new headlights. 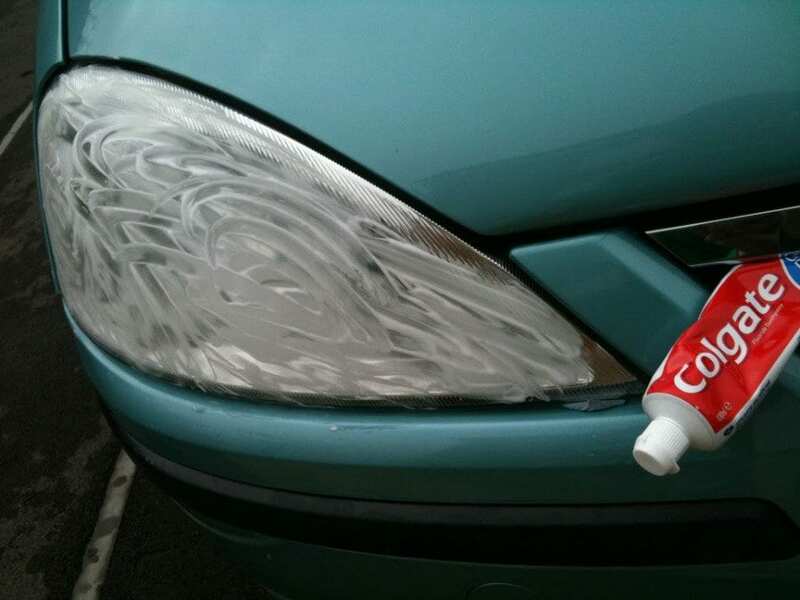 OR you can take a toothpaste (especially a whitening toothpaste), and clean your headlights yourself. Just put the toothpaste on the lense, scrub, rinse it off, and dry. Voilà, a brand new(ish) headlight. So bumper stickers used to be cool, but do you really want everyone and their father to know that you love motley crue or that you love bacon to an extreme degree? Bumper stickers have super sticky glue, so taking them off usually requires you peeling off some paint. But no longer, as all you need to do is spray some WD-40 on the sticker, wait until it soaks into the sticker, and then peel. Let’s say you want that showroom finish and shine but without the showroom prices for that shine. 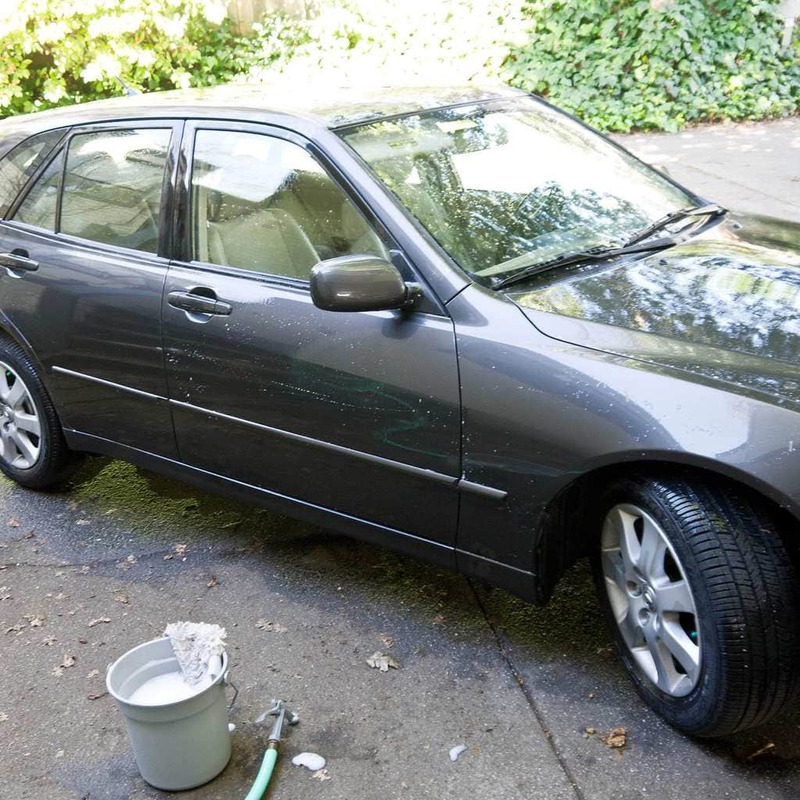 A great way to “cheap out” but get that same exact look is by using a clay bar on your car’s body paint. 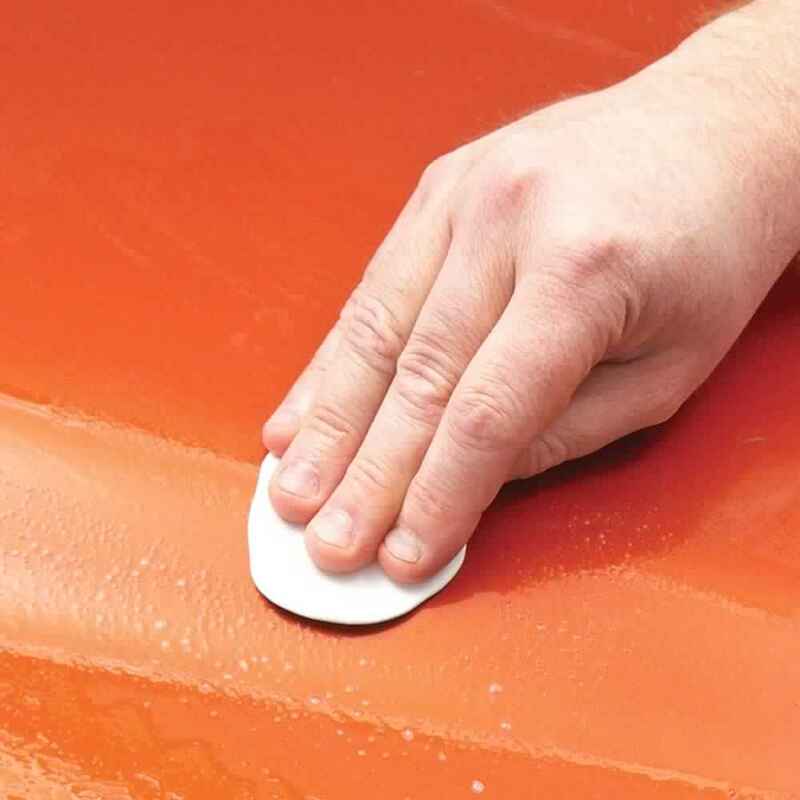 This is due to the fact that the clay picks up the gunk on your car’s body while leaving a clean, shiny finish. Your car may be completely clean on the inside, but still smell horrible. What can be causing this problem? Well, it may be your air filters need cleaning. 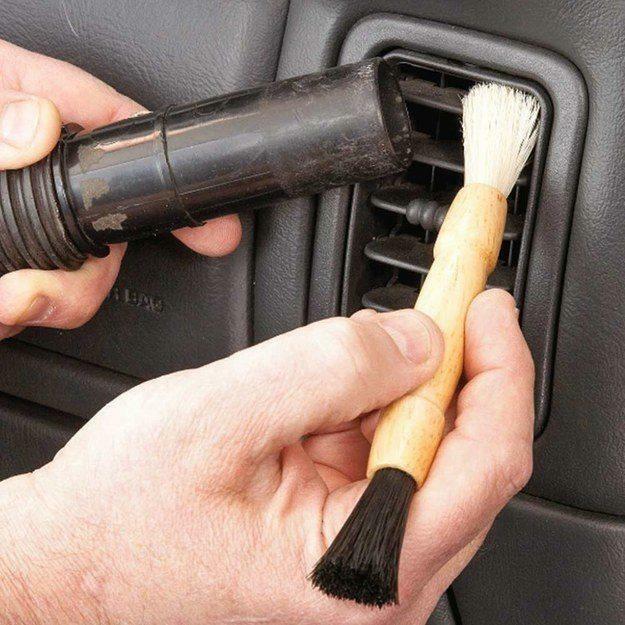 If your air filters are not clean, your car will be getting all the smells of the city, or worse – mold. If there is mold in your filters you may be at risk of developing respiratory diseases. So make sure your filters are clean. Washer fluid is very easy to make if you need some in a pinch – especially during the hot dry and dusty summer months. All you need to do is mix three cups of grain alcohol and four cups of water together, adding a minuscule two teaspoons of dishwashing detergent. Put it in an empty bottle to keep in case you have find yourself without the fluid in an emergency. 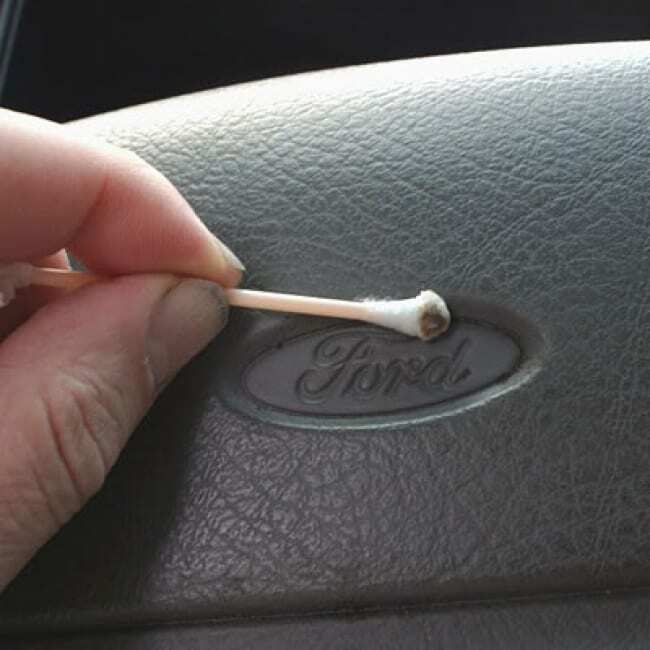 If you really want that on point finish and clean for your car, use a Q-Tip. Q-tips are amazing because they can fit anywhere and everywhere – from cup holders to car logos. Because of their cotton ends they are really able to clean up any excess cleaning product left over. And the best part – they come in packs of 1,000, so you do not need to worry if you use one or 20. 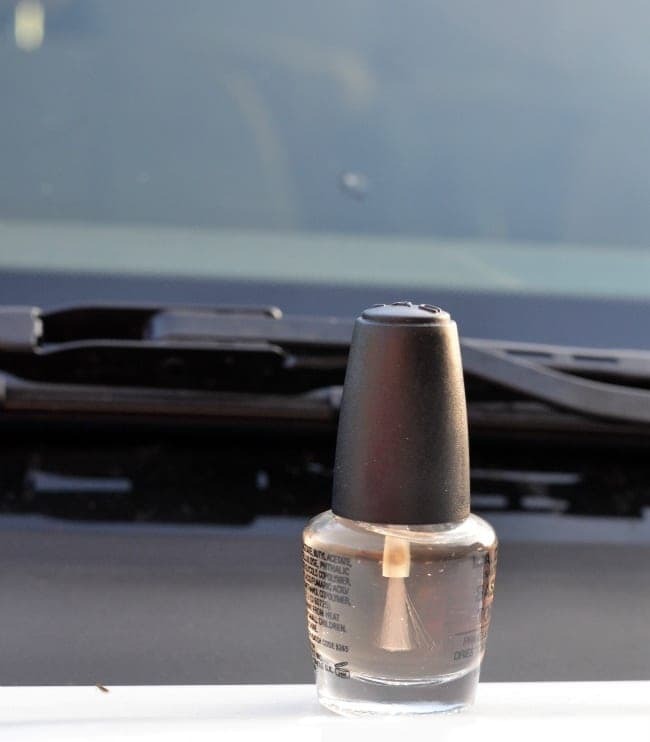 No matter who you are, man or woman, you should keep a bottle of clear nail polish inside of your car. This is because if a tiny pebble jumps up at you on the highway as you’re going 75 miles per hour, you will get a crack, a tiny crack which can grow and shatter the windshield on you. 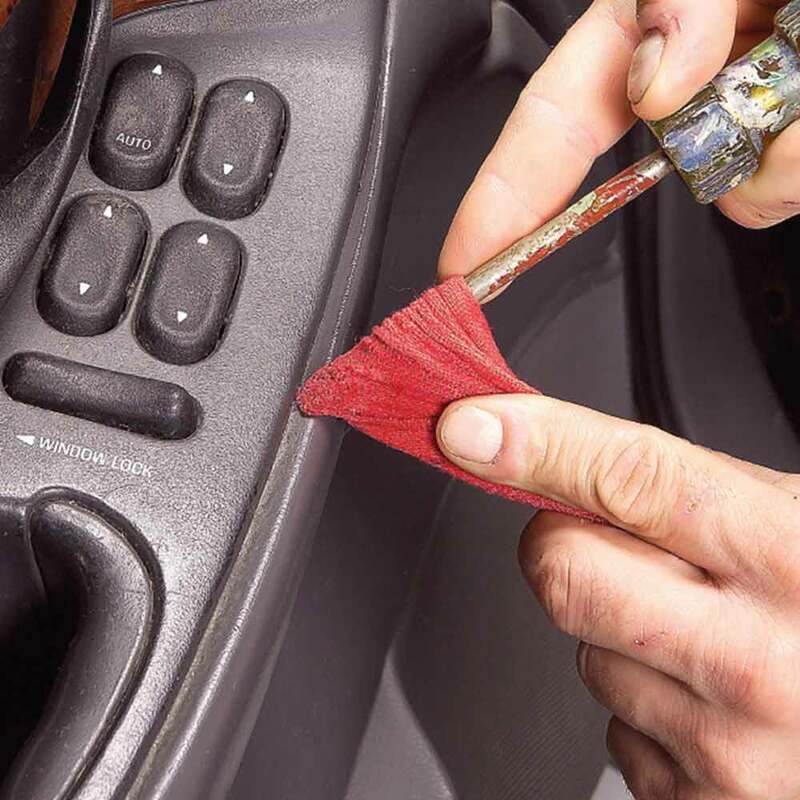 Put on this nail polish and the crack won’t grow, and you’ll be able to safely get to a garage. 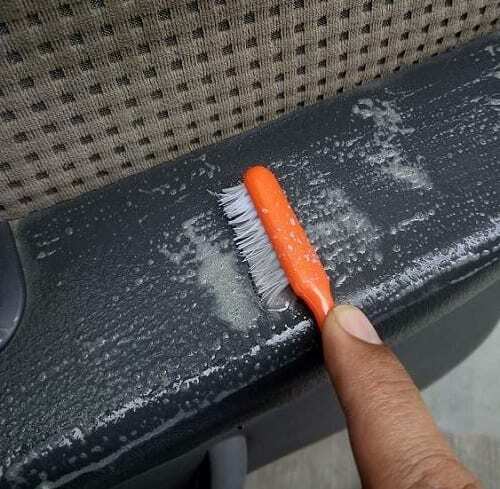 If you have gross stains on your leather or vinyl seats, well there is no need to worry. You can fix those suckers up in a jiff. All you need to do is get a Magic Eraser from your local convenience store and just scrub out those stains. Just get the eraser a little wet and gently start to scrub. You’ll have clean, factory fresh seats in absolutely no time. Vaseline is great for moisturizing a whole bunch of different things, but it can also help your car’s interior out a ton. 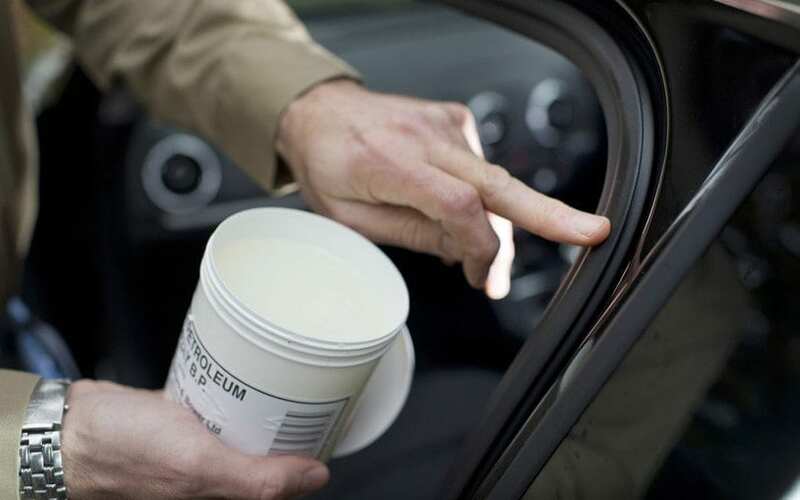 If you have a vinyl or leather interior, put a dab of vaseline on a cloth and rub the cloth all over the car in order to prevent the leather from cracking. You can also rub it on the rubber door seals to keep them from freezing over in winter. 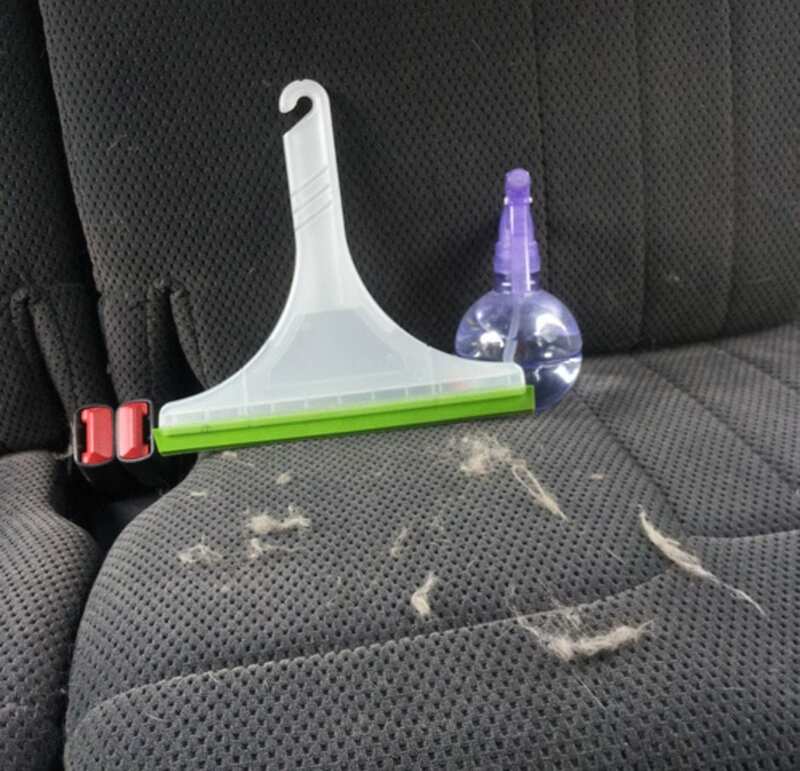 One of the worst things about cleaning the dust out of your buttons, vents, dashboard, etc, is that now the dust is on the floor of your car and you need to vacuum it up. Well, to mitigate this, what you can do it take a small brush and as you are dusting, take your vacuum cleaner’s hand held attachment and put it next to the brush. As you dust, the dirt and grime get immediately sucked up into the vacuum. Do you have a dog that sheds? 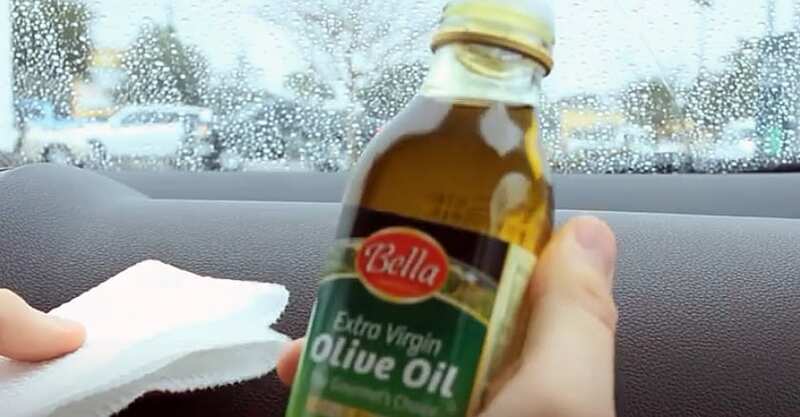 Have you tried using everything in order to get their hair out of the car? Vacuuming only seems to do so much, but it’s never enough. But it turns out that all you need is a small spray bottle of water and a hand squeegee. Just spray the water on the seats, and the squeegee the seats. All the hair will be up in seconds. 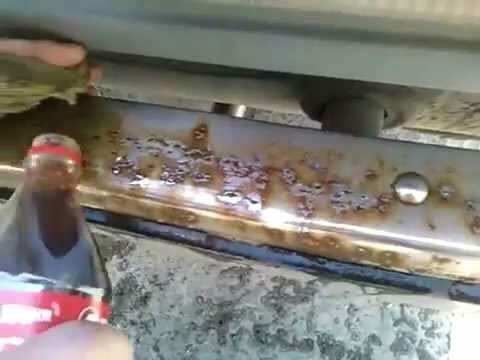 One of the best ways to get rust out of anything – a car, a metal bar, a suspension bridge – is to spray regular cola on it. This is due to the fact that cola has a whole lot of acid in it which is great for breaking down rust. All you need to do it spray it, wait, and wipe it off of the rusty part of your car. It is a bit disconcerting however that we are putting this rust destroying acid into our bodies on a regular basis. Washing leather is one of the hardest things to do. If you put the wrong thing on it, the leather will stain, and your car will be looking a bit, well, janky. 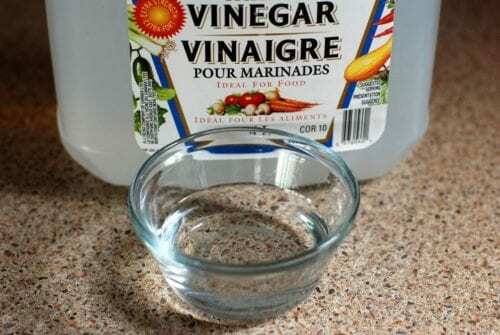 Instead, take a tiny bit of olive oil, put it on a cloth or towel, and rub it in circles on your seats. Olive oil lasts a while, so you won’t need to use too much. However, this may make you hungry for Italian food. So let’s say that your car stinks, and let’s just assume it’s because you are keeping your dirty gym clothes in there. But you have a date tonight, and you definitely do not want that special someone to smell your post workout stank. What do you do? 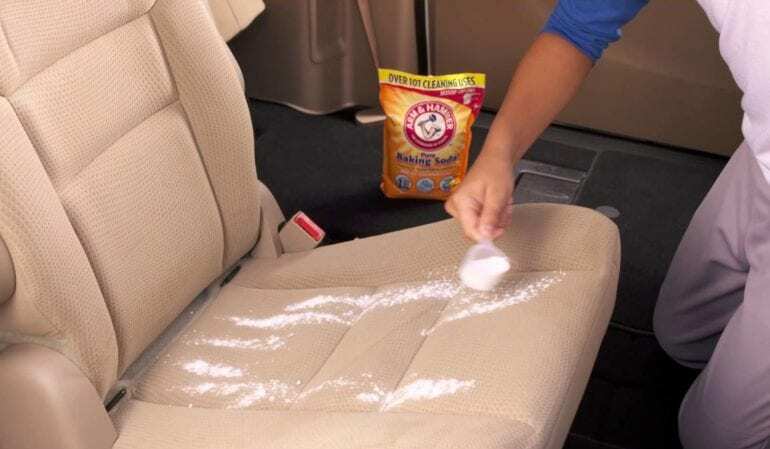 Just take some baking soda and spread it all over the seats, let it sit for a few hours, vacuum, and Voilà, amazing smelling car. If you are a parent or in the military, you know how wonderful, indispensable, and amazing baby wipes are. It’s always a good idea to keep a pack in your car just in case you spill something. Additionally, those things work just as good as window cleaner, and they will help keep your windows clean and safe for you to look out of. Thank goodness for them. Hair conditioner isn’t for making just your hair shiny anymore. 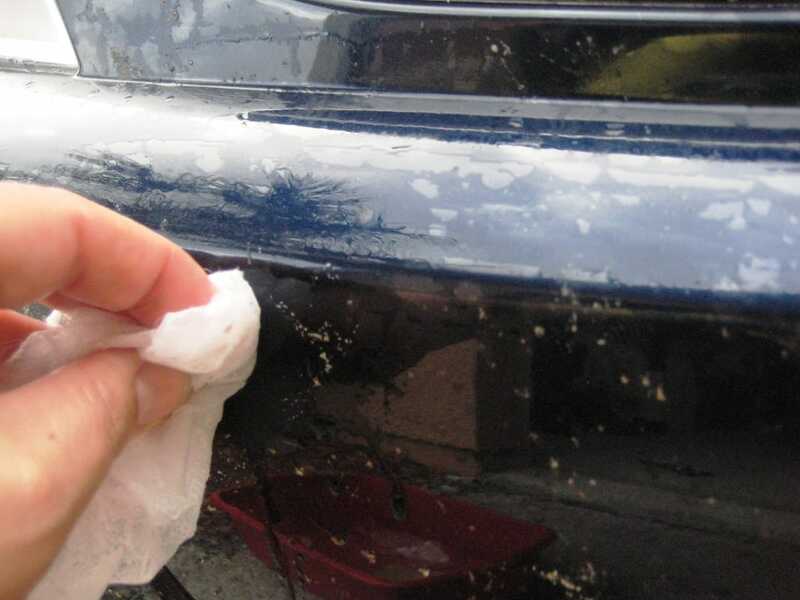 Believe it or not, if you wash your car with hair conditioner, you can get that same exact waxy, shiny finish as had you taken your car to an expensive body shop. Buy some conditioner with lanolin in it, put the condition on a car shammy, and buff the car using circular motions until the car is glistening. Makes you wonder what it does to your hair though. Cupholders are disgusting. So much is put into them, and more likely than not, you are NOT cleaning those disgusting beds of germ infested filth. 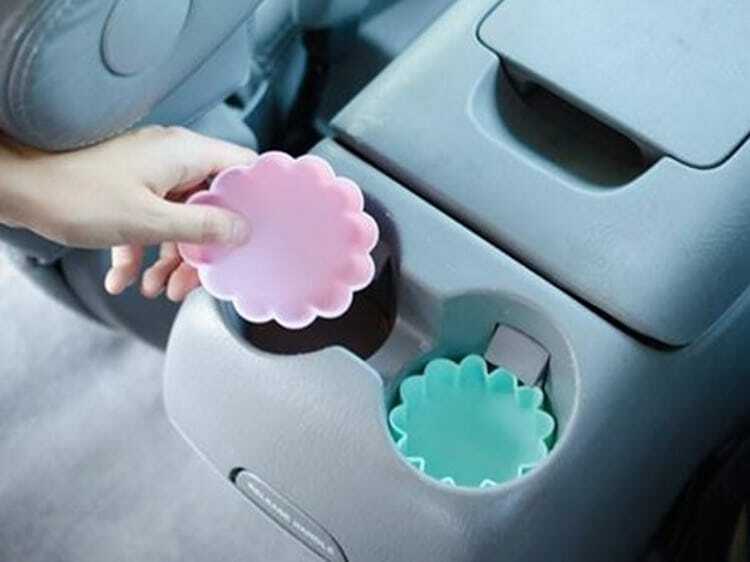 An easy way to keep them clean however is by putting cupcake molds at the bottom of your cup holders. That way, you can take out the filthy molds, clean them easily, and have fresh and clean cup holders. 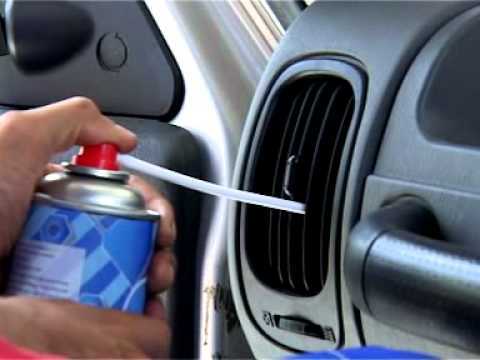 Just like with a keyboard, you can use compressed air in order to blow out the tiny bits of dust and dirt from the cracks crevices nooks and crannies of your car. Compressed air sends air out at a high rate of speed through a really thin straw, enabling you to direct the airflow anywhere with dirt that needs cleaning. This will make your clean up so much easier. This is perhaps the most counterintuitive advice we have on our list but hear us out on this one. Believe it or not, steel wool is an amazing tool to use in order to clean up your windshield. Windshield glass is thick and strong and less susceptible to scratching – kind of like Gorilla glass. Therefore, if you scrub off all the grime from your windshield with steel wool, you will be able to see a lot clearer and drive a lot safer. Dead bugs are really gross, especially when it seems like you have committed a genocide of the little flying critters and kept them on the hood of your car as a warning to all the other bugs. 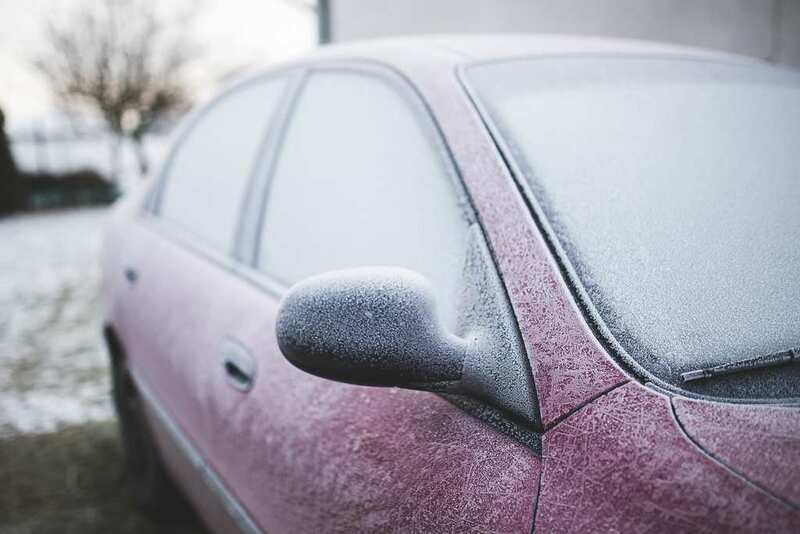 In order to keep your car looking fresh and bug free, take some water and a dryer sheet and rub the sheet gently on your car in order to get the bugs off. You know when you wipe your wiper blades “clean”, but then when you turn them on to wipe off a little rain, it’s streak city. Very annoying, right? Well, to prevent that from ever happening, you take some rubbing alcohol, put some on a cloth or towel, and wipe the blade clean. When you turn those babies back on, zero streaks! Grime and dirt always fall into the least expected places, and love to be in hard to reach places. 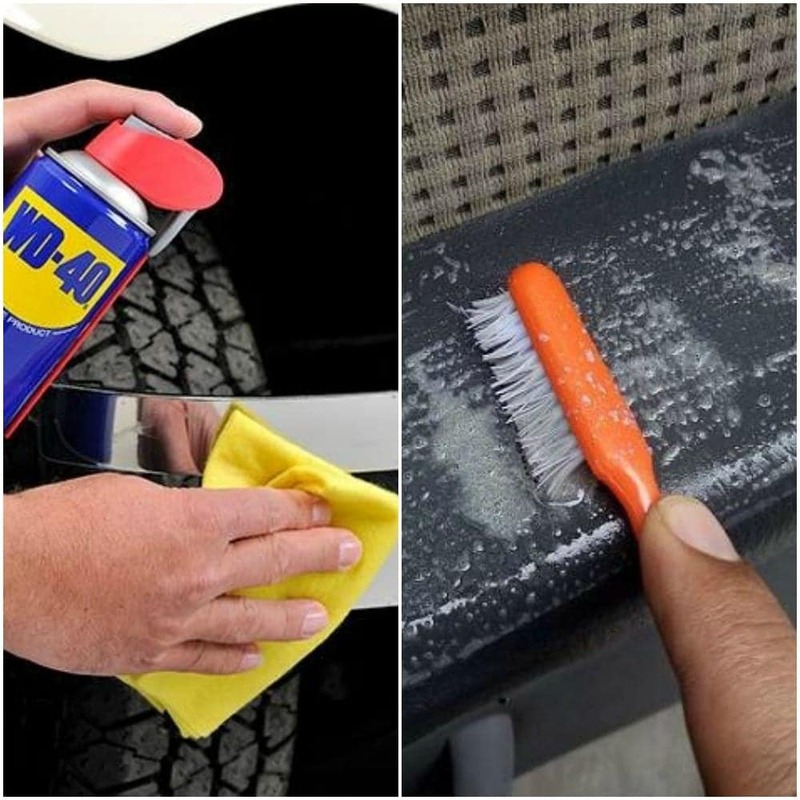 So how do you clean your car’s nooks and crannies effectively? It’s actually really easy. Just take a phillips head screwdriver, put a cloth over it, and use it to wash around those difficult to reach places. 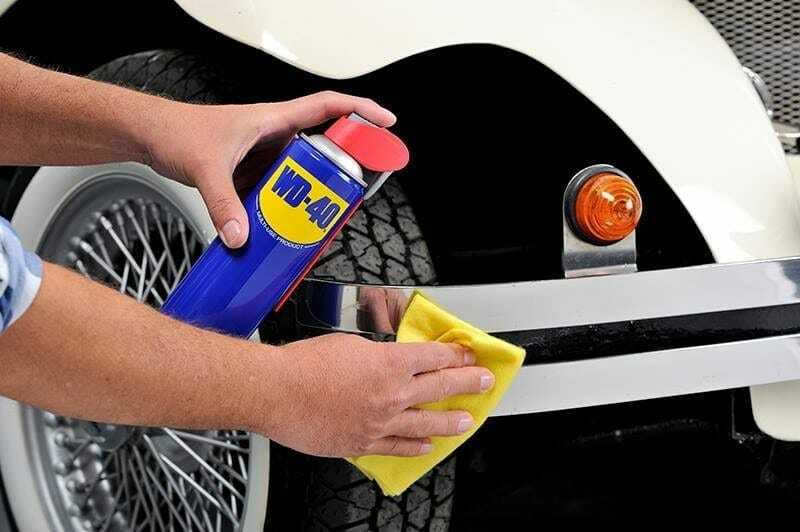 Your car will be good as new in no time. So remember when you spilled coke all in your cupholder in 2014? Well, it’s still probably there. 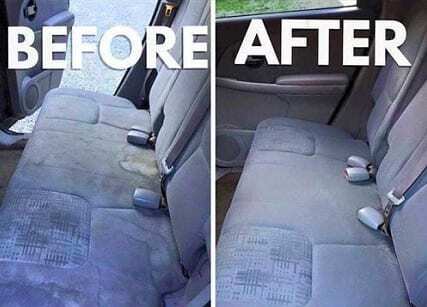 Now you can get that cup holder nice and clean. All you need to do is get a cup, put a sock on it, and spray that sock with a bunch of windex. Put the cup sockside down in the cup holder, twist it a bunch, and lift. 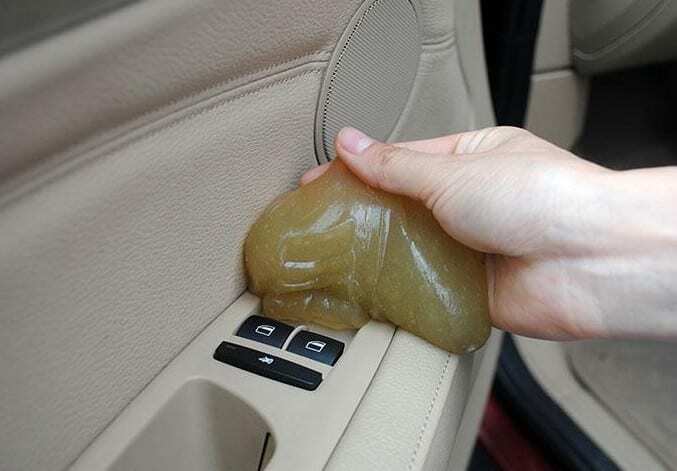 Now youre cup holder should be clean. Your car may be stinky, so what do you do? Sprays only last a few hours while normal car fresheners are waaaaay to strong. So how do you make your car smell fresh easily, cheaply, and fast? 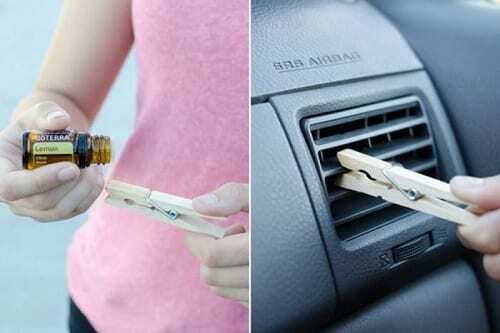 Take a wooden clothespin, spray a bunch of essential oils on it, and stick the clothespin in your air vent. Voilà, a low cost, good smelling car freshener alternative. Sometimes your car just fills up with trash and you are just not quite sure as to how or why that happened. 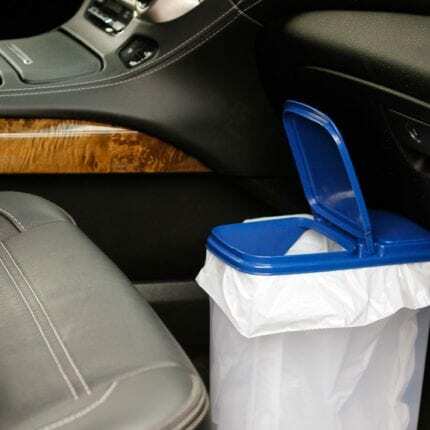 Wouldn’t it be great if there were trashcans in cars? Why are you wishing for it when you can make it happen? Yup, just get a small car trash can, put it in your car, and now your trash problems are over. If you will it, it is no dream. 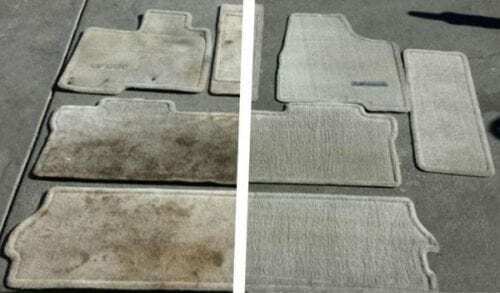 Your car’s floor mats are disgusting. It doesn’t matter who you are, they’re gross. But why should have to go to an auto detailer and pay to clean your car when you can have that same clean for cheap at home? 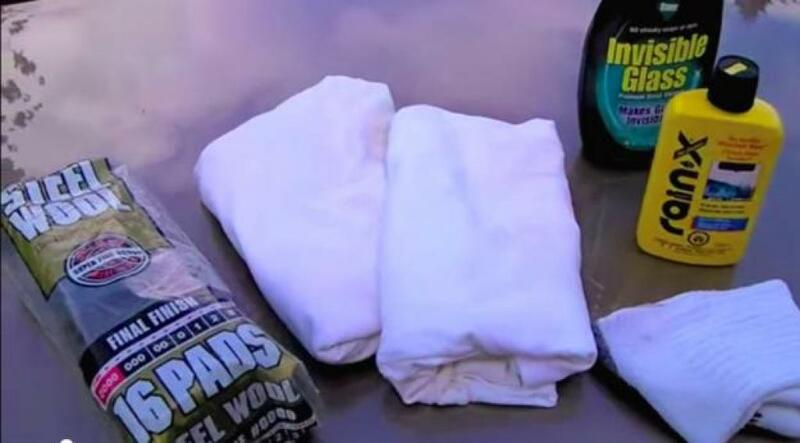 All you need to do is take the carpeted mats up, spray stain remover on them, and then put them in the washing machine with laundry detergent. Just set it to gentle (so you don’t break your washer), and you’re perfect. So you’ve been driving on a hot summer’s day and all of a sudden you see just this huge cloud of gnats just hanging out in the middle of the road. You’re obviously not going to swerve and try to miss them, so now you’ve killed 100 gnats who bodies are all over your bumper. Now you need to clean them off. Well, just spray pam on your bumper, and take a wipe to get those little guys off. Put it all in a spray bottle, spray it, let it sink in, and then let it dry. Normal air fresheners are disgusting, strong, and seem to burn the eyes for some reason. So what should you do to make your car smell good? Easy. Just take some wax from your favorite scented candle, put them in a small jar with some holes cut into them, and wait for them to melt. 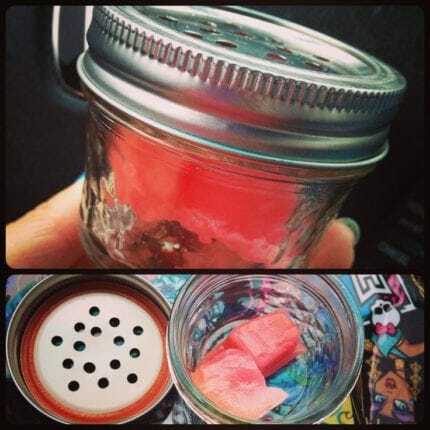 As the wax melts, it will release the perfume stored inside of them, and your car will smell simply amazing. 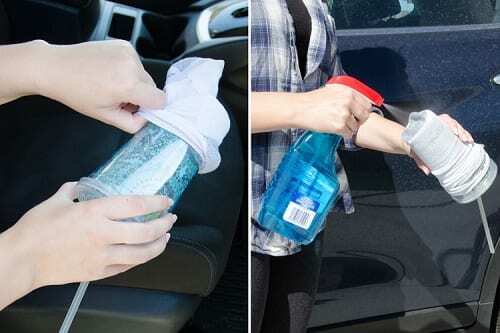 If you have dirty windows, this is the hack for you. Take your favorite or (let’s be real) least favorite newspaper and crumple it up into a ball. 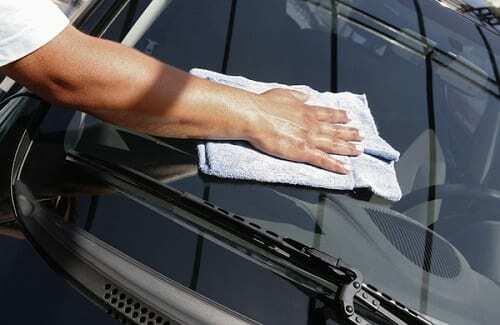 Spray your car’s windows with simple, run of the mill window cleaner. Then take that balled up piece of newspaper and wipe your window clean. Congratulations on being able to see out your windows again. By the way, do not use this trick on tinted windows. When the roads are salted, ice is not able to form, and snow melts right away. Do you know what else melts from exposure to salt? Your car’s bodywork. So, next time it snows and there is salt on the road, mix some water and vinegar together and spray it under your car. The salt will wash away and your car will not erode out from under you. If you have small kids, you more than likely have a car seat. When you remove that car seat, you usually see everything your kid dropped and left behind – for better or for worse. 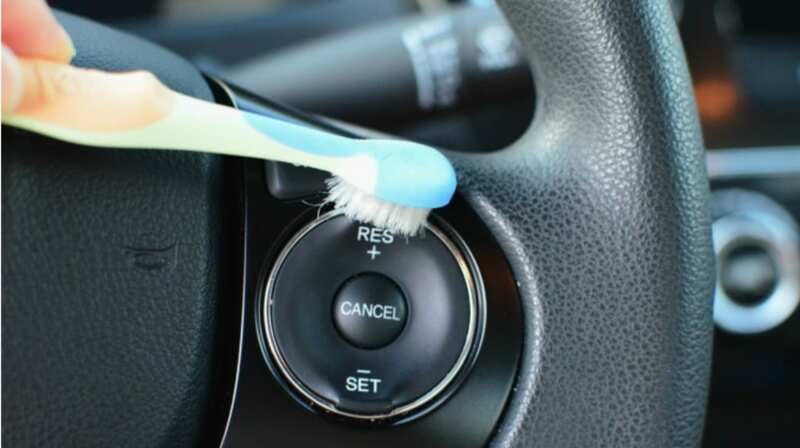 You’re busy and don’t want to have to clean the car all the time. 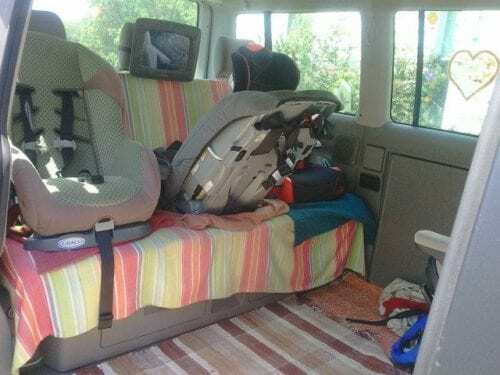 So put a sheet underneath, and that way when things fall through the car seat, the sheet will collect everything for you. After getting your car washed – either professionally or just outside on your driveway – your car may get water spots if it is not dried correctly. The best way to mitigate this is by always getting out of your car after having it run through a car wash and hand drying that giant machine with a towel. Now your car will really look like it came off the showroom floor. If your child drops a gummy bear in your car and it melts into the fabric of your car, you may think that you are doomed. But never fear, for you are not – as long as an iron is near. Just take a thick piece of paper and put it on the sticky upholstery. 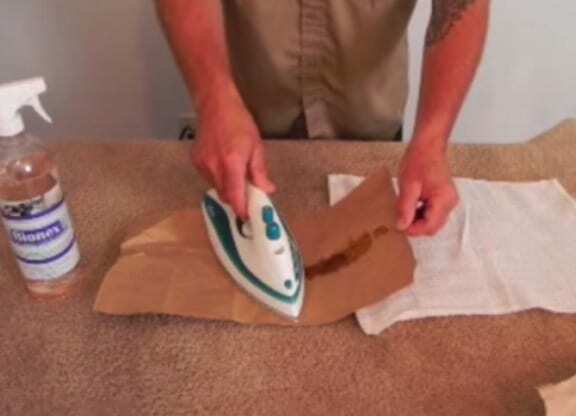 Then take the iron and put it on the paper for 20-30 seconds. The mess will jump up and attach to the paper and leave your car. Sometimes your outer windshield is clean but your inner windshield is just a whole mess of filth. The best way to get rid of this (so that you can see better of course) is to mix a teaspoon of dishwashing soap into some lukewarm water followed by a drop or three of white vinegar. Put a cloth into the mix and wipe the windshield. Now your windshield is clean, and you did it chemical free. Air vents are extremely important. Whether it’s to blast the air conditioning on the hottest day of the summer or to warm your car on those frosty winter days when the mercury drops down to -30. But have you looked at those vents? They’re kinda gross. To make sure that you stay comfortable and that your air quality is good, take silica gel to get out all of the dust. Who would have thought that silicon gel and silly putty had other uses besides throwing at your friends? Well it turns out that the gel is perfect for picking up the dirt and grime in between all the buttons. Just push the gel down so that is completely surrounds the buttons, lift it up and there you have it – a clean car that looks like it just rolled off the assembly line.